One of last year’s special projects as part of our 175th Celebrations was the installation of an art piece by Folko Kooper. Our ‘Sit with St.John’ piece was completed over the Summer holidays 2019 and we invite families to come and have a look at this special work which celebrates our history and charism. 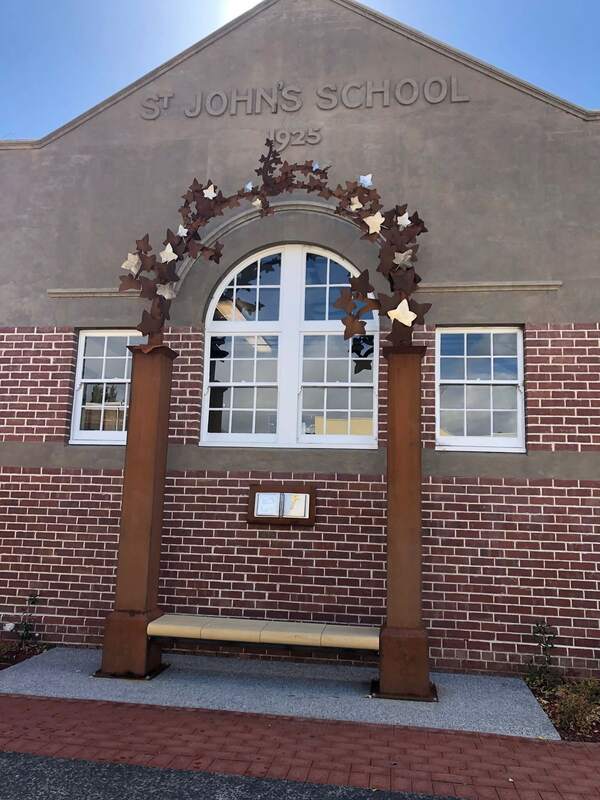 The students will be exploring themes based on our motto of ‘Love one another’ as they use this space and garden area to reflect, connect and celebrate the teachings of St John.